Maybe the three contestants were fans of Lamar’s 2015 album, To Pimp A Butterfly and chose not to check out 2017's Damn.—all five of the songs included in the clue were taken from that release—if you’ve never heard it, it’s reasonable that you wouldn’t know it. Or maybe they only learned who Lamar is, recently, through his Black Panther soundtrack. Or maybe they’re old school Lamar fans who never stopped listening to his 2011 album, Section .80, and refuse to check out his most popular work—that’d be a bit snobby, but to each their own. 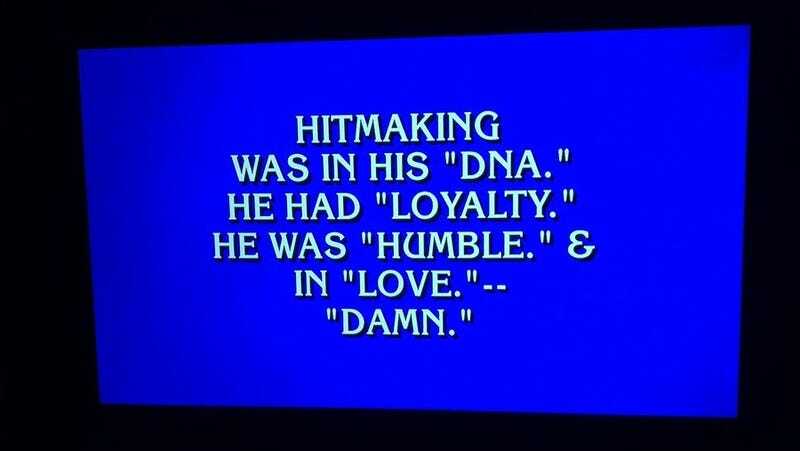 Whatever the case, if these are the kinds of questions on Jeopardy now, I’m signing up.